To Learn About Our Two Day Taster Course Click Here! This College teaches the skills required for confident private practice. The training is Podiatrist-led and equivalent to NVQ level 4, the level appropriate to practitioners who diagnose and treat independently. 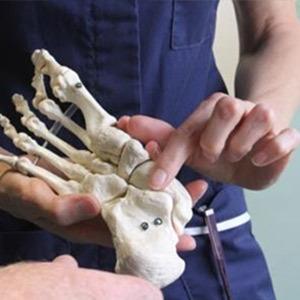 Training at this College enables direct listing on application to the Accredited Register of Foot Health Practitioners - the only register for this occupation approved by the Professional Standards Authority under the Health & Social Care Act, 2012. Founded in 1996, this 21st Century College teaches up-to-date technique in a modern learning environment. There is no better way to learn. You will treat a good number of real people with real problems under the direction of tutors who practice in their own right. During our foot health practitioner course, you will learn what needs to be done from those who do it daily. Our course has been accredited under our NCFE IIQ Licence and the course measurable learning outcomes have been benchmarked at Level 4 (using Ofqual's Qualification and Credit Framework (QCF) level descriptors to allow you to consider the depth of study, difficulty, and level of achievement involved. We strongly advocate Continuing Profession Development and see update and ongoing learning as essential to safe and effective practice. The College offers Basic Life Support sessions and puts on a programme of CPD workshops and masterclasses. Additional CPD and practice advancement is offered by the Alliance of Private Sector Practitioners. Our prospectus will give you an in depth look into what we can offer you, and what the benefits of choosing to learn with us are. We have a number of open days available throughout the year in which we invite you to come and meet our friendly staff and discover our state of the art facilities. We have a number of courses available to suit your needs. Whether you're a beginner or looking for something a little bit more advanced we're sure to offer it! Speak to us, we're here to help! 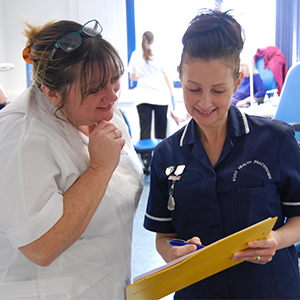 The College has delivered effective training for over 20 years and the on-going success of our Practitioners is testimonial to the value of our teaching. The College offers indefinite back-up and support to all of it’s Graduates. We strongly advocate Continuing Profession Development and see update and ongoing learning as essential to safe and effective practice. The College offers Basic Life Support sessions and puts on a programme of CPD workshops and masterclasses. Additional CPD and practice advancement is offered by the Alliance of Private Sector Practitioners. A warm and friendly environment in which professional tutors deliver our course. 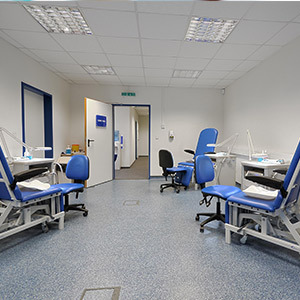 Our course provides two weeks of hands-on practical tuition with real patients. Safe Scalpel Technique © delivers the best efficiency with the greatest safety. Fully equipped environment in which to undertake practical training. We provide ongoing support and further courses beyond graduation. Friendly, human, caring, supportive staff who take pleasure in your achievements. The College is open to viewing - you can talk directly to students currently in training. 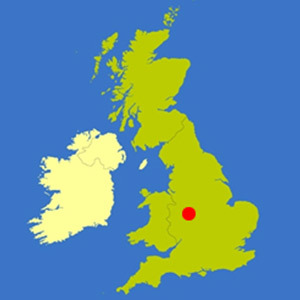 At the heart of the Midlands, we are easily accessed by all parts of the country.